Patrick is committed to delivering the area's finest luxury custom homes with unparalleled service and exceptional quality. To do so requires a relentless pursuit of excellence that can only be achieved working closely with our discerning clients. 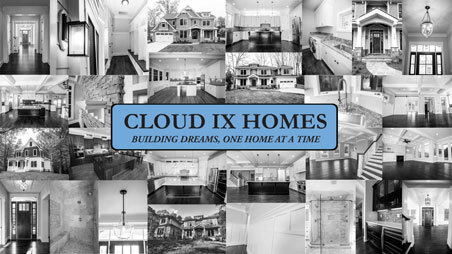 Our first meeting will be an informal gathering where we get to know each other and discuss the wide variety of opportunities available to you when building a Cloud IX Homes house. You will leave the meeting excited at the possibilities and with a full understanding of the process, time frame, and potential costs associated with building your new home.